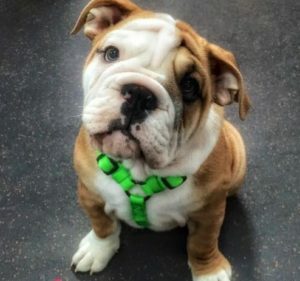 So you just brought your new puppy home, now what? You just came home with a fluffy little 8 week old puppy, and besides the basic food, bowls, and toys what else do you need. A TRAINER!!!! 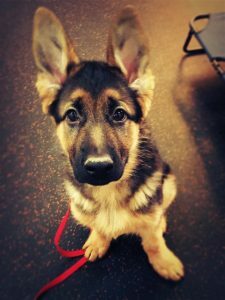 Find someone to get you started on basic commands of come, sit, down and to get your new pup off on the right paw. The first week home is very overwhelming and fun, but there is a lot of work that comes with your new pup. Within the first few days home get into a vet; someone who you feel comfortable with and will listen to your questions and decisions. This is very important. If you don’t feel comfortable with your vet’s suggestions be sure to speak up. Your vet will give you suggestions on food, medication, and procedures. It is OK to do your own homework, and do what feels right, not what someone pushes you to do because they “know best”. Next up would be food. This is a very hot topic! The breeder or rescue probably sent you home with food that the puppy has been on for the last few weeks. You do not have to stay on this food. Once again, do some research on dog food. You want a food that your dog likes but is also good for them. Just because the breeder has your pup on it doesn’t mean that is the end all be all. Find something you and your pup agree on, and transition them over to the new food over several weeks. Get yourself on a routine. Dogs are creatures of routine. The quicker you get onto a routine the quicker you get onto a feeding schedule and the quicker you will get your new pup housebroken. Who doesn’t want that QUICK! Stay away from pee pads with housebreaking. This only promotes them to take care of business in the house. Some people try the bell, sometime it works and sometimes it doesn’t. I say get into a routine and then start watching your pup for cues (circling, smelling, going to the door or the same spot they like to go). Crating is equally as important as routine. Crating isn’t a punishment. It is their space, their room. They need this to understand a lot of things in life. Having a crate with a movable divider will help keep the area small enough so they don’t use it as their bathroom. Feeding in the crate will also help them not want to go where they eat, along with associating a positive experience with the kennel. The crate will also give them a place to go to rest, calm down when they become over stimulated. By teaching them to love their kennel it will be a safe place for your pup when unsupervised and a great way to keep you belongings and furniture safe too! 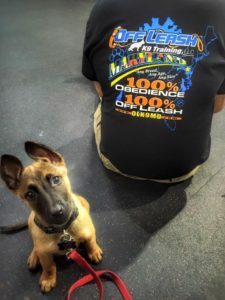 Here at OLK9MD we teach a lot of things during our puppy classes. We offer 2 packages. The puppy consult and the puppy starter package. Not only are we teaching the basic foundation commands, but we are building confidence, teaching manners. During these classes we also answer any questions or concerns you may have. The difference between the two is the number of classes. 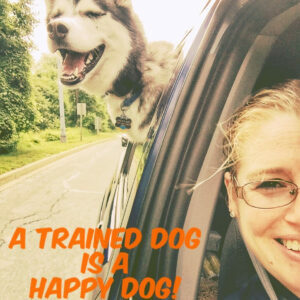 The consult is an hour long, we say that is more of a refresher class for those been there done that clients who have had puppies before but need the reminder. The starter package consists of 4 classes that are 30 minutes each. We teach the same as the consult just stretch it out over the 4 classes. This is geared more towards the new puppy owners or clients who want to space training out for a couple weeks. 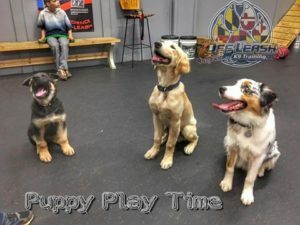 We offer puppy play time at Off Leash K9 Training Maryland two Saturdays a month. This will allow your puppy to socialize with other puppies and people in a safe and controlled environment. 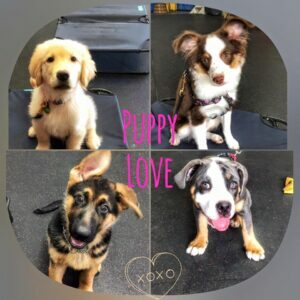 Puppies must be between the ages of 3 months to 12 months of age and be up to date on shots. The cost is $10 a session. Please visit our website to sign up . Watch some of our fun!